Revbergtinden as seen from Ersfjorden. The North East ridge is on the right hand skyline. 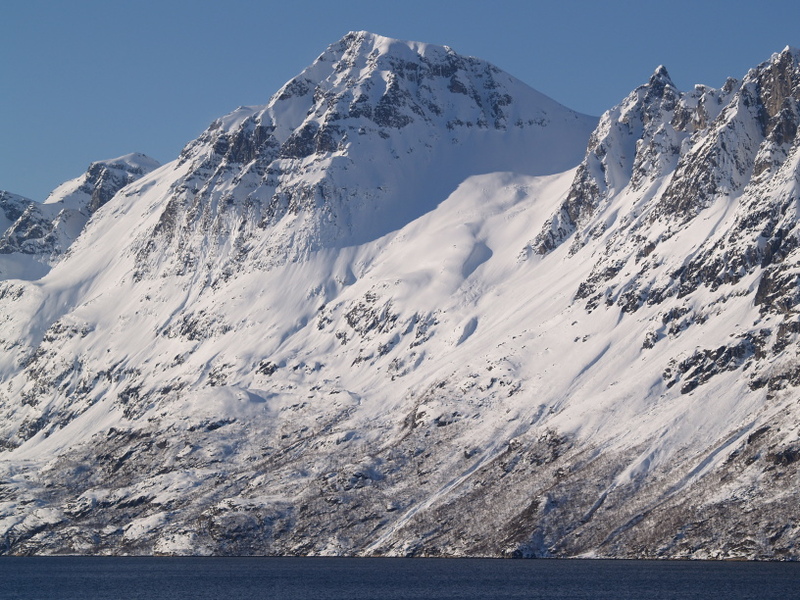 A short route description: Start from Vågbotn in Grøtfjorden. Scramble up to the lake (365) North East of the mountain. 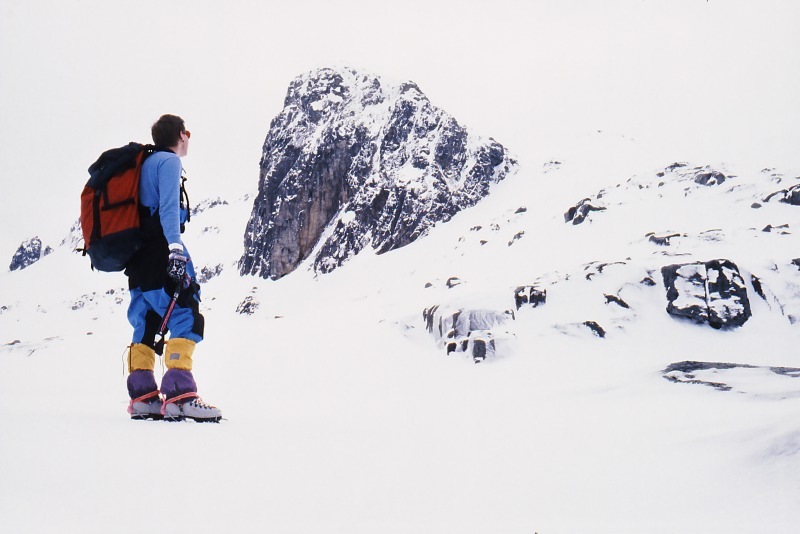 Proceed up to the notch between the main summit and Point 836. Follow the NE ridge easily to the summit. The nameless summit on the right, Point 836, was also climbed. See pictures below. Point 836. We climbed the right hand skyline. Easy mixed climbing. 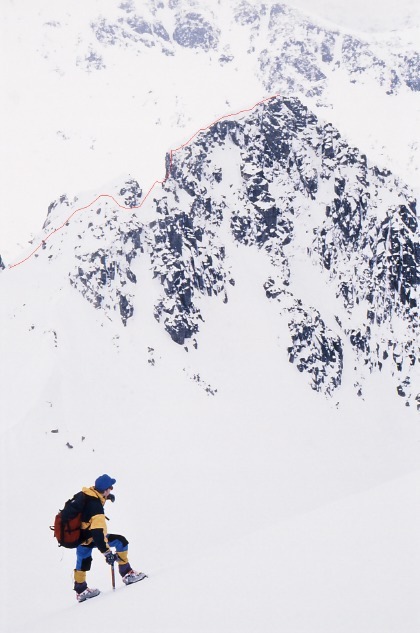 The route on Point 836 as seen from the NE ridge of Revbergtinden. 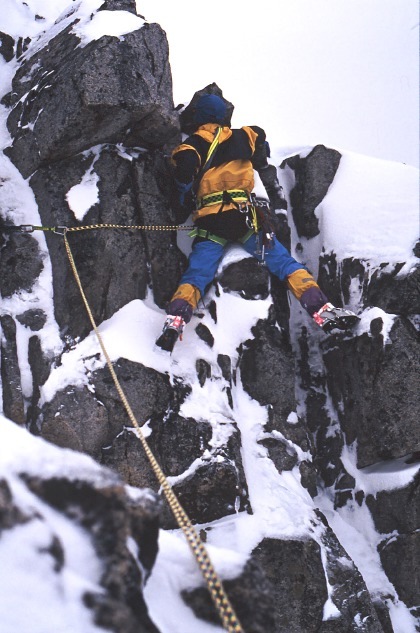 Bjørn Arntzen on Point 836. 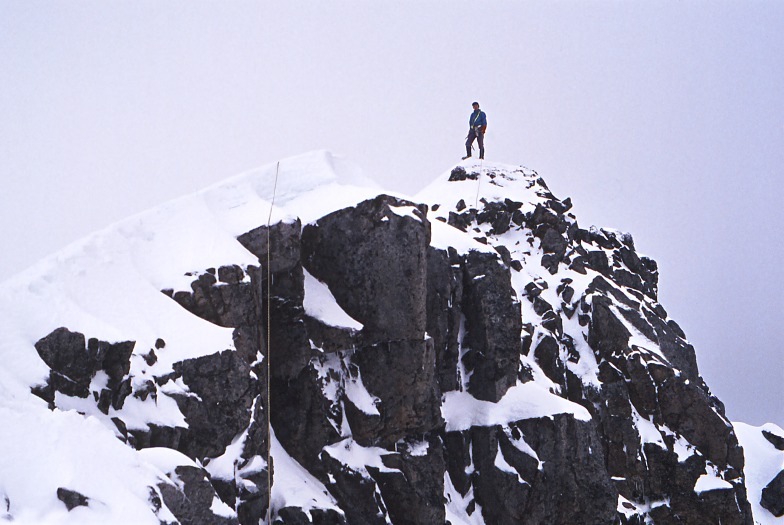 Geir Jenssen on the summit of Point 836. 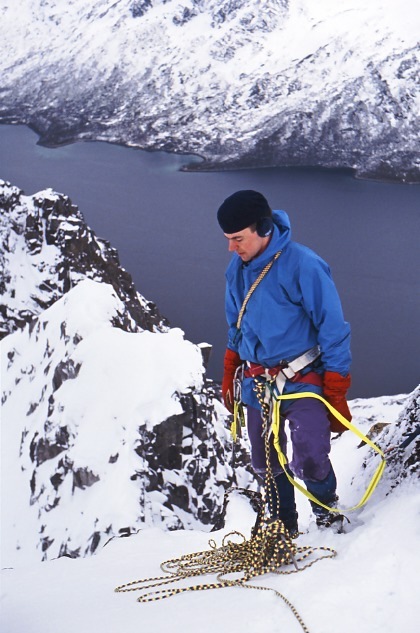 A view from the summit towards Ersfjorden.